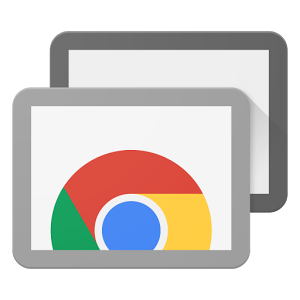 Google provides a free and powerful tool, Chrome Remote Desktop (CRD), that lets you connect to and control your Windows, Linux, Mac or even Android device over the internet. The computer has to be running the Chrome browser, of course, and you also need a Gmail account to sign in and use this feature. It’s quick to set up, it’s easy to use and provides a stable connection between remote computers. Okay, CRD has been out there for several years but it was just a few days ago that I installed it on Ubuntu 16.04 and was able to successfully access it effortlessly through a Windows machine and vice versa. We’ve all been there before: we’re away from home and suddenly realize that we are in need of a particular file or document that’s on another computer. What’s more, the files aren’t on Dropbox or any other cloud storage. This would usually lead to a lot of frustration, but that’s where remote desktop applications come into play. TeamViewer is another popular application but, as you know, is only available for personal use – so, CRD works as a good alternative. This means, I can also use it to assist our clients using non-Linux machines. If you are having issues installing CRD on Ubuntu, just drop us a line and we would be happy to assist. You are currently browsing the archives for the Remote Desktop category.